An award winning architecture firm that was established 23 years ago in Leeds has appointed a new managing director. Chris Austin, who has been an integral part of the Brewster Bye team for 22 years, is taking over the role from founding partner Keith Brewster. Keith will take up a new position as a consultant in the business and continue to support the board of directors as well as overseeing a wide range of projects in the residential and community sectors. 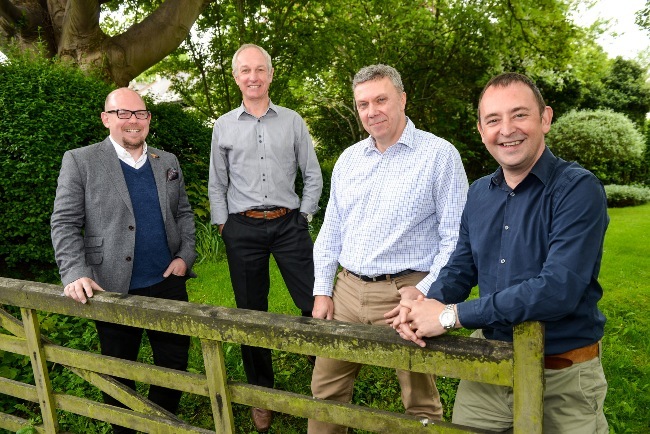 Chris will work alongside fellow directors and shareholders Mark Henderson and Nathan Wilkinson to continue growing the firm, which is based in Headingley and employs 23 staff. Brewster Bye, which has seen consecutive year-on-year growth in a range of sectors including the residential and commercial property markets, education, health, community enterprise and the arts, as well as the sports and leisure industries, is currently managing numerous prestigious projects. The firm is working on the luxury residential conversion of St. Leonard’s Place in York for Rushbond PLC, the redevelopment of the Leeds Girls High School site in Headingley for Stonebridge Homes and three regeneration sites in Doncaster of over 300 houses for Muse Developments. Other clients include The Abbeyfield Society where Brewster Bye is responsible for the £10.5million extra care and dementia care housing scheme in Bingley and Leeds and Yorkshire Housing Association’s residential apartment development at Hanover Square in Leeds. Keith said: “Since founding the business with David Bye in 1992, our team of directors have ensured that Brewster Bye has earned an enviable reputation in both the public and private sectors for delivering visually striking and highly functional quality projects that are managed to the highest level. Chris added: “We have all been a key part of the success of the firm over the years and are thoroughly appreciative of the role Keith has played in the development of Brewster Bye.